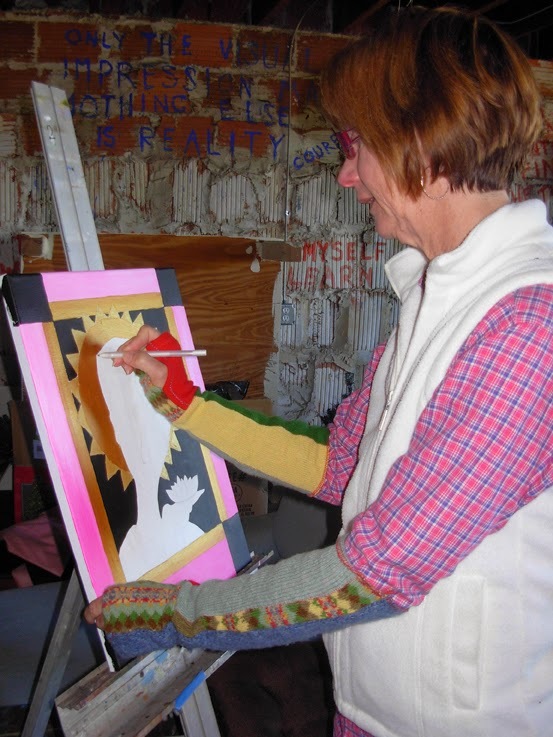 Bring a friend to Museum Monday at the Foosaner Art Museum on Highland Avenue in the Eau Gallie Arts District on March 24 at 10 am when artist Cindy Michaud will talk about the creative process behind her recent publication "Sainted & Painted." The talk is free and open to the public. If you have ever been curious as to what twists and turns a series goes through from conception to completion now is your opportunity to get up close and personal. Cindy will share her passion and enthusiasm for the written and painted word as well as answer any questions you may have.